Place a secure hold on your Scope with the quick-attaching Sun Optics® USA Sport 1" Scope Rings before your next hunt! Offers superior scope retention so it doesn't slip around and demand constant recalibration. 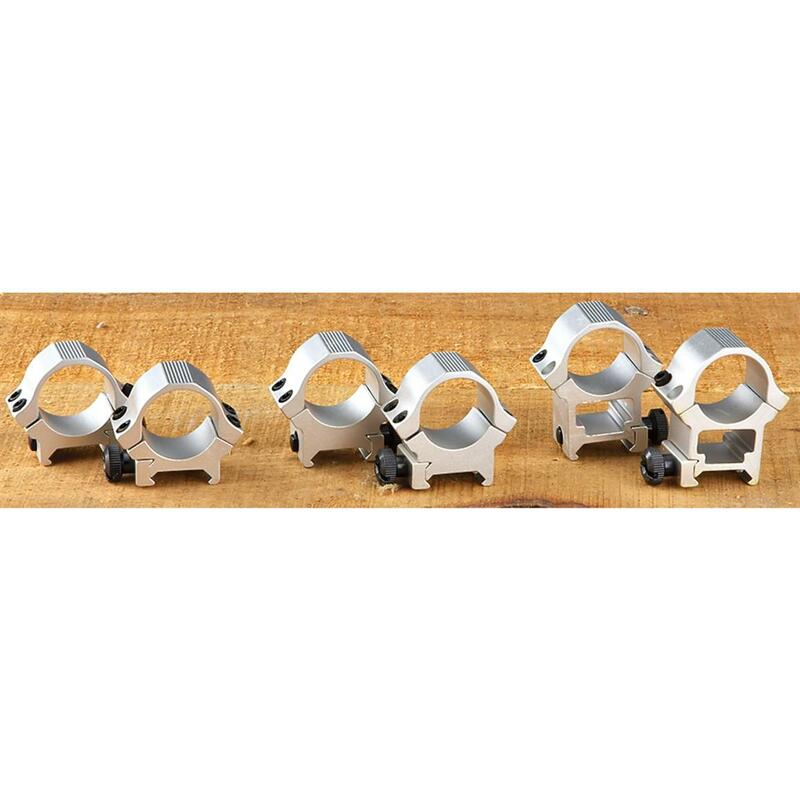 Sun Optics USA Sport 1 Scope Rings, Silver is rated 4.7 out of 5 by 9. Rated 5 out of 5 by danr1234 from Greate price Fits well, just enough scope clearance, looks good, very happy. Rated 5 out of 5 by Taterbug from Great Price Easy to install, look great, work perfect! Rated 5 out of 5 by NH Outdoorsman from Solid, wellmade rings. I like the dual set screws on each side of the ring. this allows you to get the scope to solidly set into the ring without overtightening. They lock onto the rail base very nicely too. I've used several pairs of these rings on several different rifles and aftermarket bases and they have fit tightly on every one. Rated 5 out of 5 by Dave from Great Price! 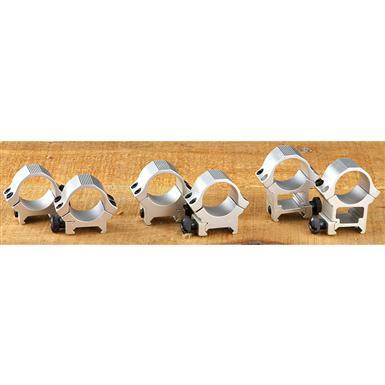 I was in need of a set of quality silver scope rings and did not want to spend $30 - $40 as they were just going on a .22 caliber rifle. When my order of Sun Optics rings arrived, I was very satisfied with my purchase. With black colored screws offsetting the silver rings, they looked good and there was no stripped out threading in any of the holes, as is a common complaint on other cheaper priced rings. I liked them so much that I ordered another set the following week.. Rated 5 out of 5 by NITRORAM from great price Exactly as pictured. Fix perfectly. Rated 3 out of 5 by JERRY from The item was as described online and do what I want them to do.